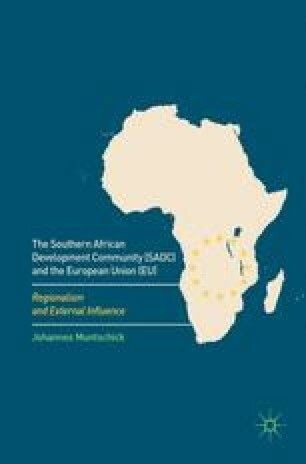 This chapter explores the theoretical and empirical puzzles of regionalism in the Global South on the example of the Southern African Development Community (SADC). The SADC is one of the most realistic and promising examples of the new regionalism and shows constant dynamics in a number of policy areas. The main research interest of this much-needed analysis is to explain the emergence, institutional design and performance of regionalism in the SADC from a political science perspective. In order to provide innovative research, the analytical focus is on the role and influence of regional key countries and, particularly, external actors. Moreover, this chapter offers a comprehensive overview of the state of research on regionalism, including summaries of classic integration theories and the latest new regionalism approaches.